Edge Protection to Deter Skateboard, BMX Bike & Rollerblade Stunts. SS & Brass. Edge protectors are intended to be placed at regular intervals on exposed edges that are likely to suffer damage caused by skateboarders, roller bladers and BMX bike riders performing their stunts. The edge protectors are ideal for planter boxes, garden edges, the side of ledges, seating, benches and even hand rails. The DTAC range of edge protectors are a design feature that protect assets by means of deterrence, providing a safe environment for all persons. The protectors can be deployed at the commencement of a project or retrofitted to an existing environment. The edge protectors are available as buttons and bars and come in stainless steel or brass. Help prevent unwanted ‘grinding’ damage by deterring the use of BMX bikes, skateboards and roller-blades on urban fixtures. WHY CHOOSE DTAC® URBAN EDGE PROTECTION? Damage to exposed, unprotected edges can render urban assets unsafe for pedestrians and result in ongoing, costly repairs. DTAC edge protectors reliably prevent damage to walls, benches, garden beds, ledges, steps, ramps and handrails by preventing stunts being performed on their surfaces. Aesthetically appealing DTAC edge protectors are pronounced enough to function as a deterrent while blending with the environment and remaining visually unobtrusive. DTAC edge protectors are manufactured using top grade materials suitable for the harsh outdoor conditions associated with the Australian climate. 316 marine grade stainless steel and solid brass are used in the manufacture of the protectors, allowing them to perform their function for many, many years! 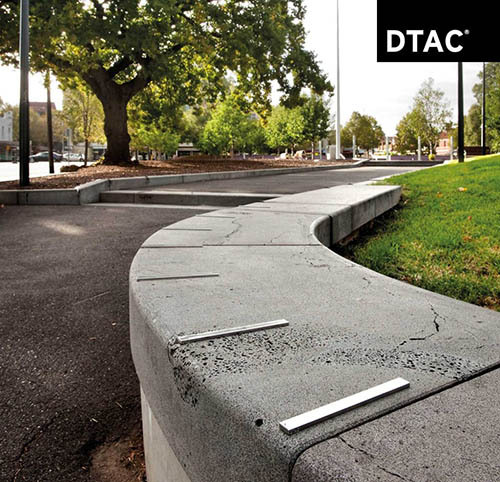 DTAC edge protectors are easily installed on many types of urban asset, both new and existing. The protectors can be deployed at the commencement of a project or retrofitted to an existing environment. DTAC is synonymous with quality! 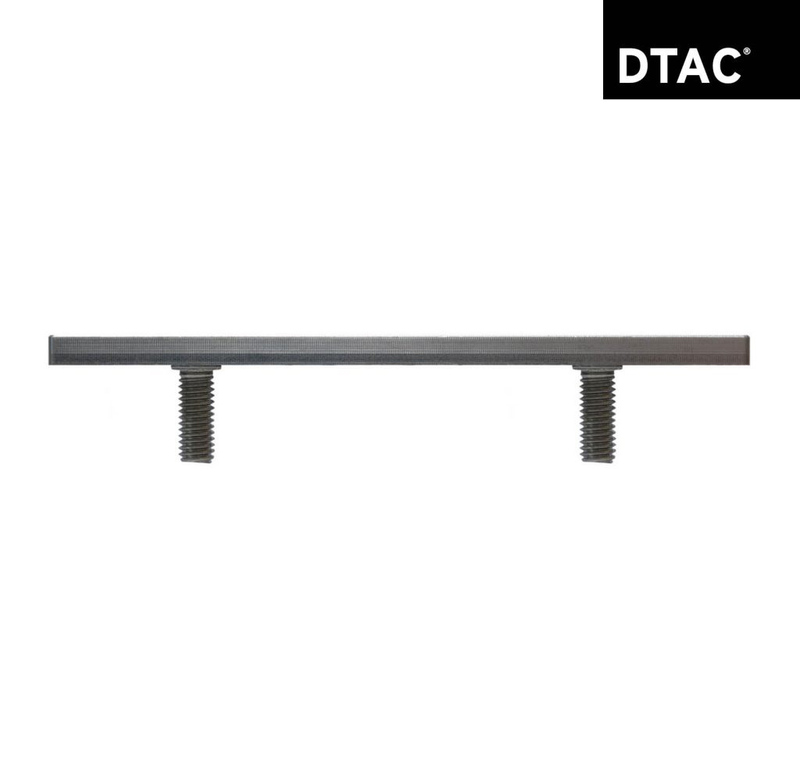 Architects, urban planners and designers recognise DTAC products as reliable, functional and robust. They know that DTAC products offer a long service life, which is why DTAC has earned the status of being a trusted brand.